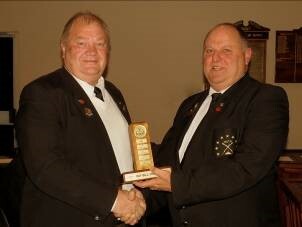 Vacant Chair’s Pay Bill, Moth Stuart Howie, received the best Pay Bill Trophy. 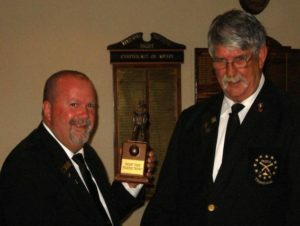 Field Marshal’s Adj Moth Johnny Demetroudes, received the best Scribe Trophy. 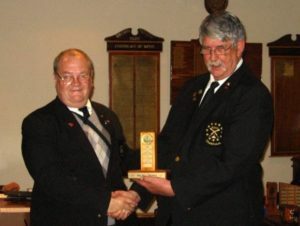 Coalbox Mk 2’s Old Bill, Moth Francois Viljoen, received the Recruiting Trophy. 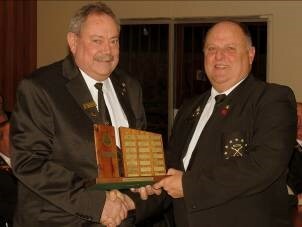 OB Dave Berry relieving the outgoing District Executive of their duties. 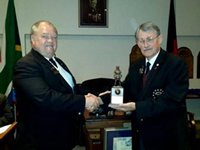 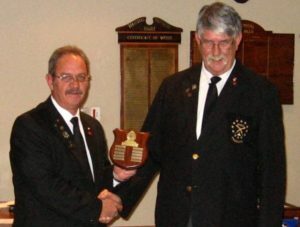 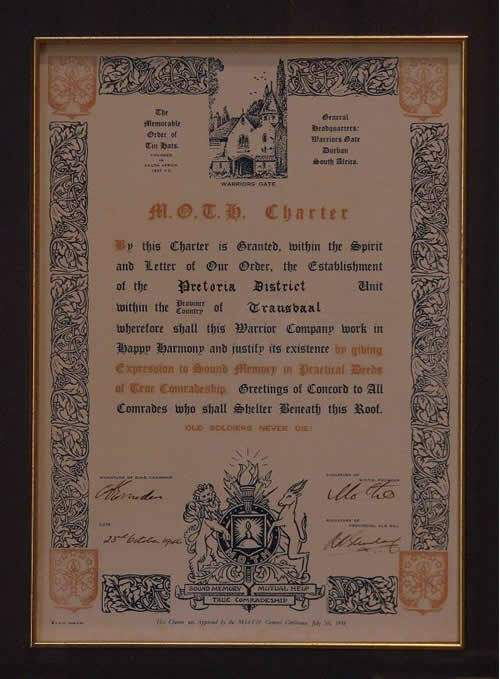 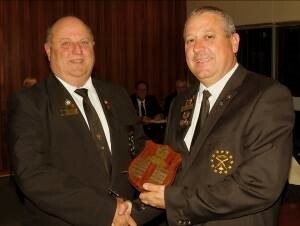 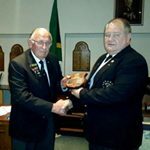 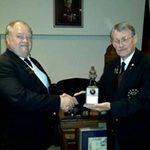 Provincial Old Bill, Moth Dave Berry, presented the outgoing District Wee Bill, Moth Pierre de la Harpe, with a Certificate of Executive Service. 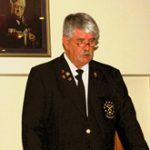 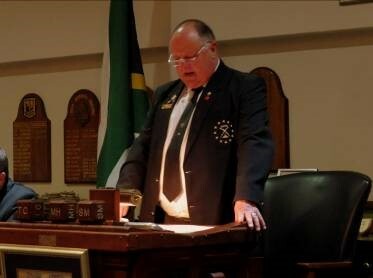 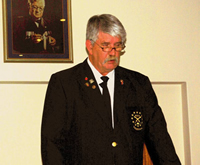 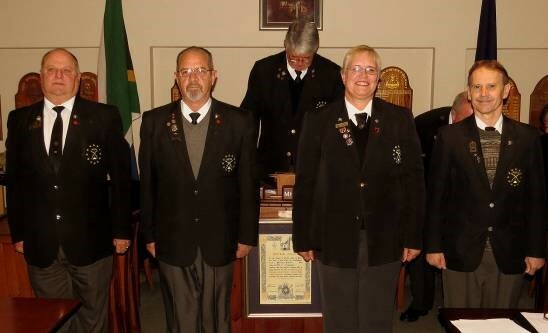 The 2015 Executive: Moths Graham Thorold – Vacant Chair (PB), Piet Marais – Vacant Chair (WB), Wessie vd Westhuizen – Casa Mia (Adj) and Joep Joubert – Casa Mia (OB) were relieved of their duties with a ceremonial kiss from the incoming Old Bill. 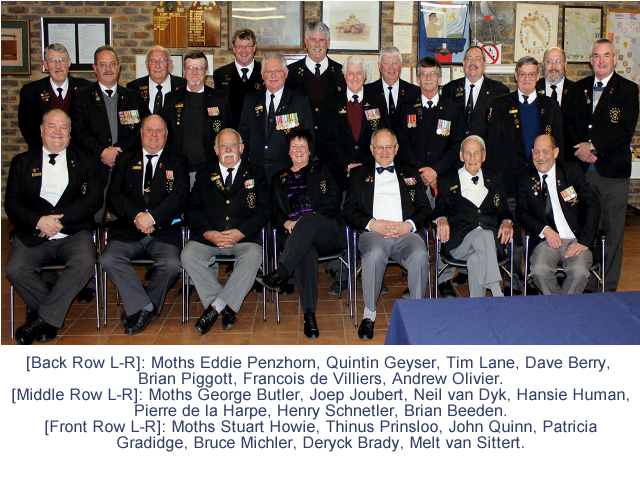 The blokes held an American Auction and elected Moth Marina Valentine from Casa Mia as the Old Bill for the 2016 combined meeting. 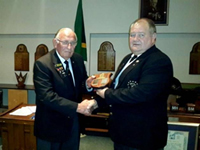 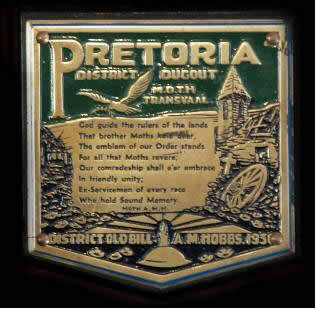 The funds raised went to the Pretoria Cottages. 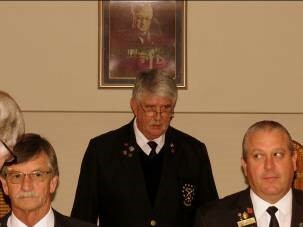 In the spirit of the combined meeting, the blokes were heavily fined for a whole range of actual and trumped-up transgressions. 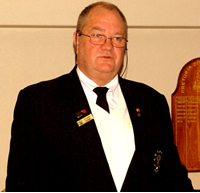 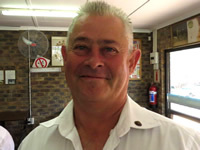 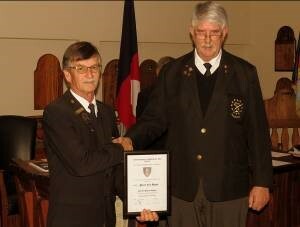 Old Bill Pierre de la Harpe from Ouma also raffled a bottle of wine signed by General Constand Viljoen. 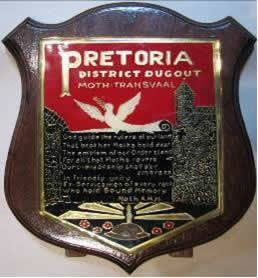 Moth Thinus Prinsloo – an ardent collector from Vacant Chair, who does even partake of the good stuff, won this sought-after prize. 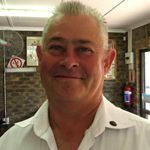 What a swindle! 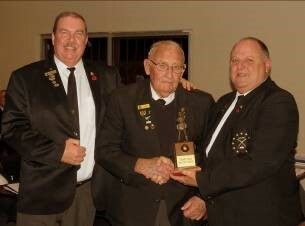 On the day, the combined meeting raised just over R 1,700 for the Pretoria Cottages. 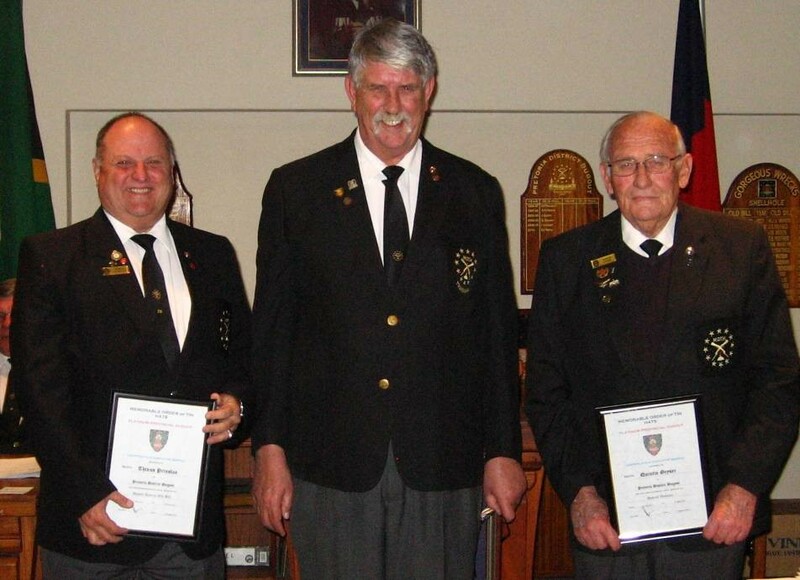 Well done, blokes! 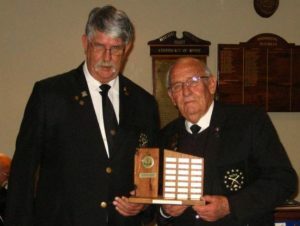 The Guest Speaker, Rear Admiral (JG) Trevor Beddy, SA Navy (ret) SD, SM, MMM with the Wrecks Old Bill, Moth Eddie Penzhorn. 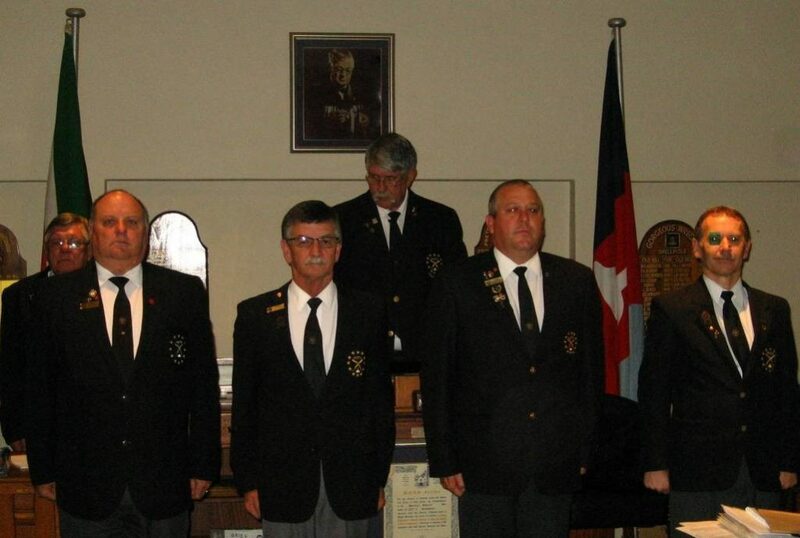 The waiters served the veterans first – as it should be!